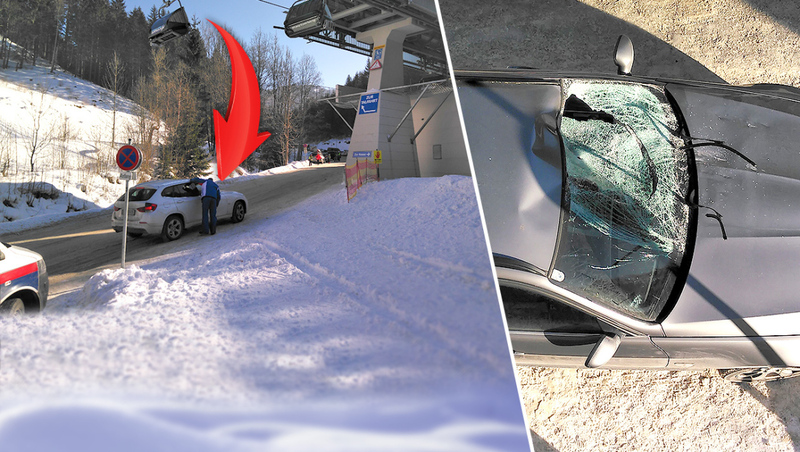 Semmering, Austria – There’s one thing about reporting about skiing: people are always finding new ways to hurt themselves. A 29-year-old Hungarian woman is hospitalized in Austria after breaking several bones in a 23-foot fall from a chairlift onto a passing car below. The incident occurred on Monday at the Stuhleck ski area in Semmering. The victim was riding the resort’s Stuhleckbahn quad with her 39-year-old husband when the pair raised the restraining bar as their chair left the lift’s lower terminal. Both fell from the lift, but while the husband landed in a safety net, the wife landed squarely on the windshield of a car driven by an Austrian man who was arriving at the resort for the day. The car’s driver avoided any serious injury. Police have yet to be able to question the victim, who was reportedly wearing a helmet.